I quite like the HP and ATP bars. it gives it an official look to the game and it gives new players a better experience. Maybe we could make it so that the different bars can be toggled? One thing that would be further beneficial would be a graphical design for the Alerts system that Rastro implemented. 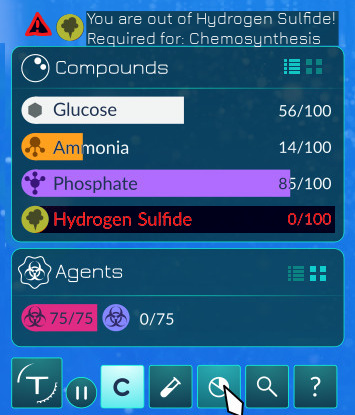 Highlighting the compound one runs low on in the bar and having a textual alert would be a great reminder for the player. 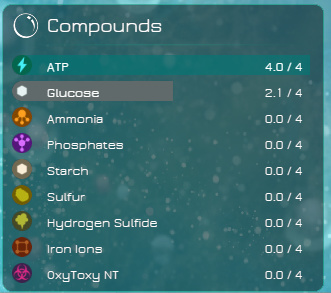 The bit about the “Required for: Chemosynthesis” would remind the player that they need that compound to metabolize ATP. Something better could probably be written. If the player does not have a use for H2S, then the alert should not appear. Are we not gonna talk about the panel of environmental properties? We wanna know more about it! Is it gonna affect gameplay in the next update? 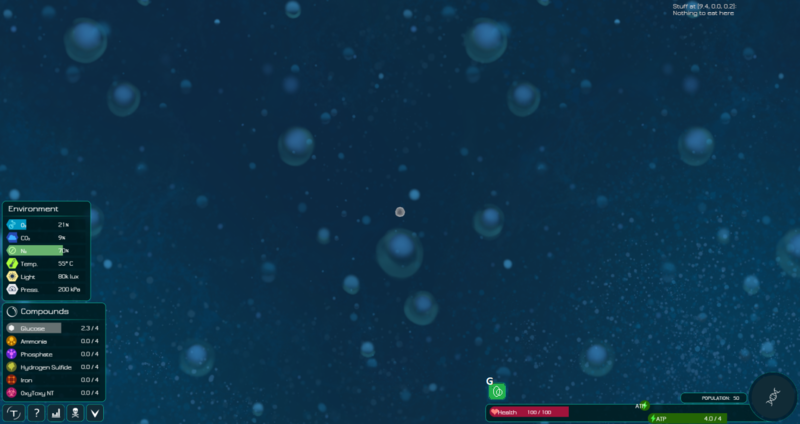 And the UI looks just wonderful! Especially the editor, can’t wait for it! Good job! Man, Naro’s concept’s are great! Is there any plans to implement this UI in the near future? I love it. Is it in development, somewhat implemented, or just a concept? Oh. I think it should be implemented in vanilla. Well, Nein99 is part of the dev team now. There’s a bit of difficulty in the circular meter, but for the most part it’s pretty good. I’d assume that is for ‘abilities’ like agents that require you to remember the buttons? Okay, that is absolutely beautiful! Compliments to the chef!